‘Step By Step’ Star Christine Lakin, 'Al': Where is She Now? WATCH 'Step By Step' Star Christine Lakin: Where is She Now? It's been 25 years since Christine Lakin first stole our hearts as the tomboyish Alicia "Al" Lambert, on the 90's sitcom, "Step By Step." Lakin, now 37, landed the role of "Al" when she was 12 years old--a moment that she said even in her young age, she knew was a pretty big deal. "When I found out I was going to be on this show that was in the 'TGIF' time slot [I said], 'That's it. I've made it,'" Lakin told ABC News. "It was overwhelming...it was very cool because I was that fan. I was the kid going home to watch 'Full House' and 'Perfect Stranger.' I would have sleepovers Friday night and my mom would say, 'What do you want to eat?' Pizza. 'What do u wanna do?' Watch 'TGIF.'" 'I Love Lucy' Star Keith Thibodeux: Where Is He Now? Lakin said she can still recall the days leading up to her audition for the show, which started on the set of "Full House" -- another family sitcom that sat on ABC's popular “TGIF" programming block. "I went on the set and you could see it in my face I was beaming," Lakin said. "I was a huge fan of the show." Growing up as an only child in Atlanta, Lakin said her mother got her involved in dance and commercials until she was invited to read a monologue that would be filmed on the set of "Full House" in L.A.
Christine Lakin, now 37, played the role of Alicia "Al" Lambert on the 90's ABC sitcom "Step By Step." The actress’ impressive cry-on-cue performance had casting directors calling just three months later, she said. "I come home from school and my dad says they want me to audition for this role, for 'Step by Step,'" Lakin recalled. "I said, 'You're crazy'." 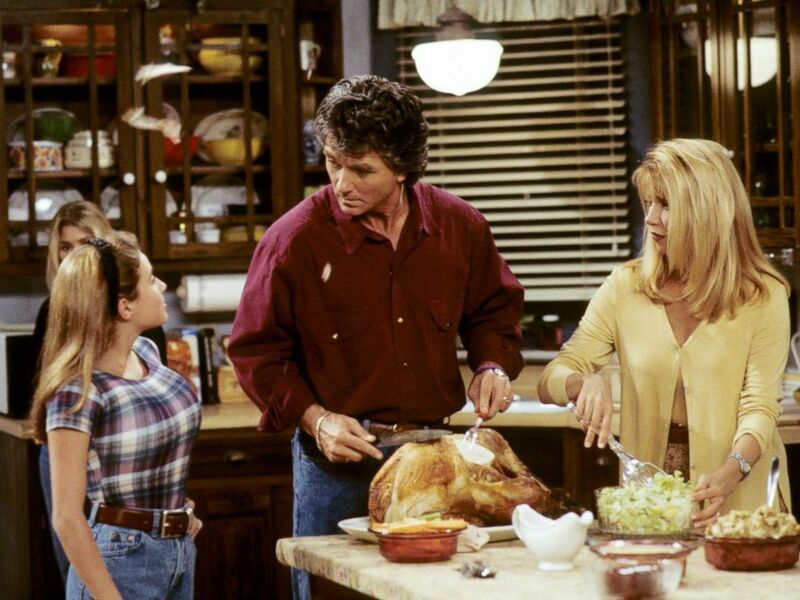 For the next 7 years, Lakin appeared on 'Step by Step,' starring as the daughter of 'Frank Lambert' (Patrick Duffy) and step-daughter of 'Carol Lambert' (Suzanne Somers). Cast of "Step By Step." "I knew who Suzanne Somers was because of 'Threes Company,' but I didn't know who Patrick Duffy was, but my mom and her friends would say 'Oh my God, do you know who's in the pilot?' so I kind of knew he was a hunky guy," Lakin said, laughing. "Patrick was very much 'Frank Lambert.' "He wore a plaid shirt every day and a belt buckle and jeans. He was not a fancy guy. [But] he was such a nice guy. "I had this secret worship for [Suzanne Somers]," she added. "I thought she was so glamorous and so beautiful. She was so warm and funny and goofy and played this dumb blonde, but she owned that. She was nothing short of a constant business woman and that was something I looked up to. She always did something very lovely and extravagant for the crew-her and Patrick both. All I have are lovely memories of the two." Scene from "Step By Step." 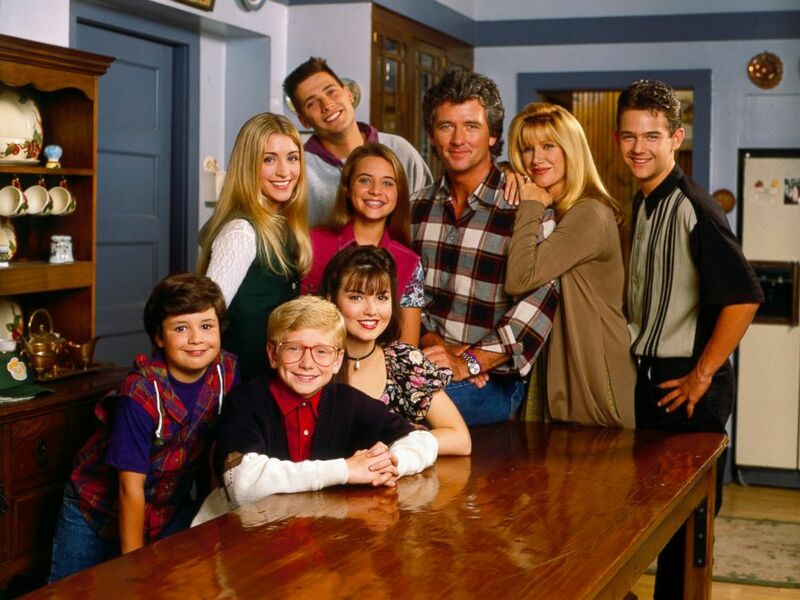 As with her onscreen parents, Lakin said she had solid relationships with her fellow child cast members, aka "Al's" step siblings: Dana Foster (Staci Keanan), Karen Foster (Angela Watson), Mark Foster (Christopher Castile) and brothers: John Thomas "J.T." Lambert (Brandon Call), Brendan Lambert (Josh Byrne) and cousin: Cody Lambert (Sasha Mitchell). "As a kid, I didn't have any brothers or sisters and suddenly I had five," Lakin said. "The teacher [on set] would leave and Brandon Call would beat me up--just like a big brother. Staci Keenan, I was in awe of her and I’d say to myself, 'Don't be nerdy.' I was half tomboy and secretly always wanted Angela Watson and Staci Keenan to accept me as one of the girls. "It was big happy family," she added. "It sounds really cliche and like I'm lying but it was, really." Christine Lakin from "Step By Step." Today, Lakin is living in L.A., married and is expecting a baby girl this month. She remains busy in the industry with an upcoming role in the Garry Marshall film, "Mother's Day" and reoccurring voice-overs on "Family Guy" and the animated children's show, "Doc McStuffins." And as for “Al,” Lakin said she is grateful that her character made such a lasting impression. “When you’ve done something that’s made an impact, that’s a blessing,” she said. "Anyone that remembers the show, or wants to talk about it, I'm super happy to do so because I was one of those geeky fans growing up. "I get that it was a part of people's childhood [because] it was a part of mine and I am flattered that people will remember it and remember me."